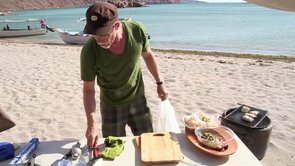 Mexico: One Plate at a Time with Rick Bayless - Episode 801 "Mediterranean Baja" from RickBayless.com on Vimeo. Mexico: One Plate at a Time with Rick Bayless - Episode 802 "Tijuana Taco Crawl" from RickBayless.com on Vimeo. Mexico: One Plate at a Time with Rick Bayless - Episode 803 "Cooking on the Sea of Cortez" from RickBayless.com on Vimeo. Mexico: One Plate at a Time with Rick Bayless - Episode 804 "Presenting: World-Class Wines of Baja" from RickBayless.com on Vimeo. Mexico: One Plate at a Time with Rick Bayless - Episode 805 "Eat Like a Local in Los Cabos" from RickBayless.com on Vimeo. Mexico: One Plate at a Time with Rick Bayless - Episode 806 "A Delicious Feast in Magdalena Bay" from RickBayless.com on Vimeo. Mexico: One Plate at a Time with Rick Bayless - Episode 807 "Cooking in Wine Country" from RickBayless.com on Vimeo. Mexico: One Plate at a Time with Rick Bayless - Episode 808 "Tijuana Round Table" from RickBayless.com on Vimeo. Mexico: One Plate at a Time with Rick Bayless - Episode 809 "Extraordinarily Delicious Ensenada" from RickBayless.com on Vimeo. Mexico: One Plate at a Time with Rick Bayless - Episode 810 "Mexican Microbrews and Pub Fare" from RickBayless.com on Vimeo. Mexico: One Plate at a Time with Rick Bayless - Episode 811 "Sustainable Aquaculture in Ensenada" from RickBayless.com on Vimeo. Mexico: One Plate at a Time with Rick Bayless - Episode 812 "Todos Santos Magic" from RickBayless.com on Vimeo. Mexico: One Plate at a Time with Rick Bayless - Episode 813 "Baja Beach House Cooking" from RickBayless.com on Vimeo. 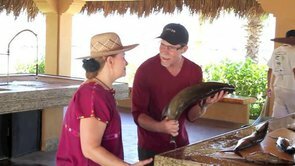 For the eighth season of Chef Rick Bayless’s highly-rated cooking and travel show, we’re taking our viewers from Tijuana to Cabo San Lucas to explore the cuisine and culture that makes Mexico’s astonishing region of Baja California completely irresistible. The mere mention of Mexico’s sun-soaked Baja peninsula makes us dream. 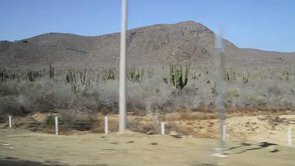 Flanked by the Pacific Ocean to the west and the Sea of Cortez to the east, Baja really is Mexico’s undiscovered “West,” with its stark desert landscapes, secluded coves and striking mountains. Recently, some of Mexico’s most talented chefs have fostered a dazzling “Baja Med” cuisine in the restaurants of Tijuana and Ensenada. In addition, the wineries of Baja California Norte are producing world-class, award-winning wines. Paired with the region’s phenomenal seafood, the cuisine of Baja ranks among Mexico’s finest. The Baja California peninsula boasts a climate reminiscent of those on the Mediterranean Sea. Thousands of olive trees and vineyards in Northern Baja capture the distinctiveness of this region of Mexico. We explore the amazing grilled octopus at Tres Virgenes in La Paz and enjoy mesquite-grilled lamb with 9-chile mole sauce. Rick makes tacos of kale and spinach with a green garlic mojo from the gardens of the renowned spa Rancho La Puerta. In Tijuana, Chef Miguel Angel Guerrero Yagües shows off his terrific wood-fired grill to Rick before he cooks lamb three ways. Chef Jair Tellez makes a geoduck ceviche at his dreamy Laja restaurant in the Valle de Guadalupe. At home, Rick grills lamb with fennel and a red chile salsa. Astonishing Baja, indeed. People are passionate about their tacos in Tijuana. Ask any local and they’ll tell you their favorite—complete with mouthwatering details. 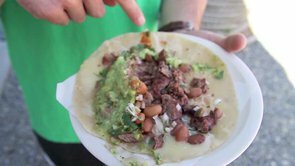 Three local Tijuana foodies take Rick on a taco “crawl” starting with arrachera (skirt steak) tacos at El Yaqui. Piled high with beans, creamy avocado salsa and Mexican “candy” (roasted jalapeños). The feast moves on to include suadero tacos at Los Ahumadores, sautéed and fried shrimp tacos at Mariscos El Mazateño, steamed tacos on the Tijuana’s tourist strip and ends with smoked salmon tacos at Salceados. At home, Rick creates a taco feast for a casual backyard cookout. Rick is always up for a cooking challenge. After a day spent boating and kayaking on the Sea of Cortez with a local ecotourism group, Rick grills dinner for the group on the beach at Espiritu Santo island—one of the most biologically diverse marine areas in the world. The waters surrounding the island support coral reefs, colonies of sea lions and more than 500 species of fish. 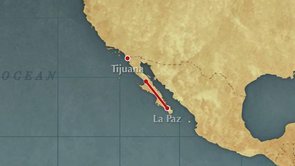 To stock up on supplies, Rick shops in the La Paz market for local cheese, fresh produce and chiles and on the island purchases seafood from a fisherman. Along the way, Rick learns from his guides about flying manta rays, dolphins, and the local flora. Then he grills fish and makes a stunning papaya salsa on the beach. Baja California Norte produces many world-class, gold medal-winning wines. That fact may surprise most people in the United States. 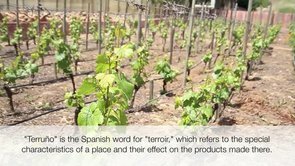 Rick takes us on a tour of the region along with renowned winemaker and visionary Hugo d’Acosta, founder of La’Escuelita, a nonprofit winemaking school opened in 2004. Hugo introduces Rick to his Casa de Piedra wines before taking Rick on a tour of the school where locals and chefs come to make their own wines. At Tres Mujeres, a charming winery run by three women, Rick tastes each of their wines with their favorite dishes. Their cooking inspires Rick to make stuffed chiles with red wine at home. At L.A. Cetto, winemaker Camillo Magoni tells Rick about his 47-year career with one of the oldest wineries in Mexico. Rick cooks with Ludwig Hussong of San Rafael Winery in the Valle de Ojos Negros and they toast the wines of Mexico. Ever travel to a tourist mecca and wonder what the locals eat? Rick does. So he joins his pal Hugo to find the best Mexican food in Los Cabos. Their first stop is at the municipal market in San Jose del Cabo for a quick mid-morning meal of sopes and beef soup. Then they enjoy amazing carnitas at Los Michoacános, stuffed guero chiles and bacon-wrapped shrimp at Mariscos El Toro Guero and guava tamales at Sabor Internacional. In Chicago, Rick teaches us how to stuff and grill shrimp and make those guava tamales. Rick and local guide Luis Garduno of REDTours venture out on a skiff to learn about sustainable fishing on Magdalena Bay. They catch up with local lobster fishermen and learn about sizing lobsters. Then they watch as clam divers haul up the local chocolate clams from the bottom of the bay. On the Isla de Magdalena shore, Rick and chef Hubert turn the spiny lobsters into an impressive stuffed entrée and mouthwatering salad. Rick gets to tag and release a protected sea turtle while the stuffed clams roast on the grill. Ever dream of owning a winery? Don and Tru Miller made their dreams come true 12 years ago when they built Adobe Guadalupe in the Valle de Guadalupe. Rick’s dream of cooking in their stunning kitchen, with its handmade wood-fired oven, comes true this season when he cooks for the Miller’s and other local winemakers. 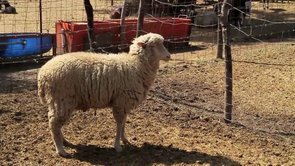 Along the way, Rick shops for just-picked produce at the idyllic farm stand on the grounds of Mogor Baden Winery, artisanal cheeses at Rancho La Campana (a 100-year-old cheese cave) as well as for breads and olives at the charming Cremeria los Globos. What’s for dinner? Local leg of lamb with a pasilla olive sauce, mixed greens with fresh mussels and fava beans and perfect strawberries with chamomile sabayon. Dreamy indeed. There’s a long heritage of good food in Tijuana: It has an amazing taco culture and is the birthplace of the Caesar salad. Today, Tijuana boasts one of the top culinary schools in the country and some of the best chefs in Mexico. Rick and three fellow food-lovers dine at the ultra-modern Mision 19 located in Mexico’s newest Leed Gold Certified building. Chef Javier Plascencia wows them with his creative twists on classic Mexican dishes such as braised beef short ribs wrapped in fresh fig leaves and served with black mole and kabocha foam. For starters, Chef Javier layers local tuna with nopales, chicharron and avocado meringue. Between bites, Rick and his guests discuss their own relationships with food, the expanding culinary scene in Tijuana and the future of Mexican food. Fish tacos embody Ensenada’s history in one bite: Fresh fish from pristine waters encased in crispy batter influenced by Asian immigrants, topped with Spanish-inspired creamy sauces, wrapped up in a very Mexican corn tortilla and spiked with chile. We seek out some of the best versions at Mariscos El Norteño, a stall opposite the Ensenada Fish market, and a 30-year old corner stand Los Originales El Chopipo. 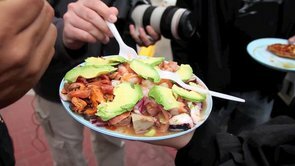 No trip to Ensenada would be complete for a foodie without a stop at La Guerrerense where Sabina Bandera Gonzalez has been serving the best seafood ceviches and tostadas for more than 29 years. There Rick savors a mixed platter of shellfish and amazing sea urchin tostadas. A stop at Marco Antonio has Rick indulging in shrimp tacos with chipotle cream. Seriously good. 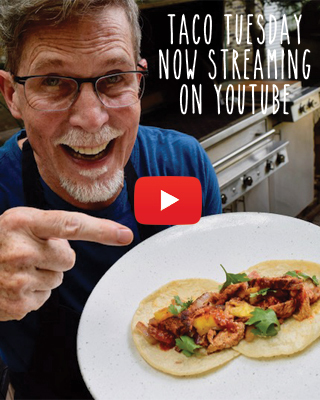 In Chicago, Rick hosts a seafood taco party complete with the secrets to making outstanding fried fish tacos at home. Many of us experienced our first Mexican beer on a beach with a squeeze of lime. 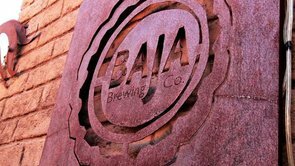 Now we’re happy to see a beer revolution rumbling in the Baja peninsula. Rick takes us from the Tecate brewery, which started in 1944, to the Tijuana brewery, makers of several microbrews. At Ultramarinos, an Ensenada bar with a penchant for pairing specialty beers and local seafood, Rick enjoys an oyster taco with owner Alain Genchi. Finally, Rick meets two expatriates brewing beer in Los Cabos—perfect for enjoying with their beer pizza. At home, Rick tucks a tomatillo and chorizo pizza into his wood-burning oven. Salud! Two of Ensenada’s best seafood chefs, Benito Molina and Alain Genchi, join Rick for a lesson in mollusk farming. Juan Carlos Lapuente of Acuacultura Integral de Baja California takes the trio to the rich coastal waters to see oyster and mussel farming. Along the way, we learn that the quality of these waters is what makes the seafood from this area so outstanding. They cook their catch at Muelle Tres on the Ensenada waterfront, then Rick accompanies Benito to his fine-dining restaurant, Manzanilla, for sautéed abalone and two oyster preparations. Solange Muris pairs her husband’s dishes with the local wines. 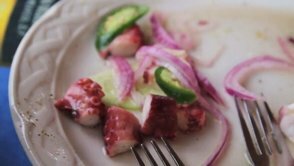 At home, Rick shows us how to make the green ceviche he enjoys at Erizo, a Tijuana ceviche restaurant featuring local seafood. Maybe it’s the water, maybe it’s the desert, but there’s definitely magic in the charming Baja town called Todos Santos. It all starts at Art & Beer, a funky roadside bar on the outskirts of town that serves generous cocktails and outstanding appetizers. Then Rick checks into the Hotel California before meeting up with his local buddy, Sergio Jaurequi, for a history lesson about the town’s disappearing and reappearing water supply. Together they taste the local sweets and get a lesson from local cook Doña Ramona, in transforming dried beef and cactus into delectable dishes. Chef Dany Lamote’s vanilla-infused margarita proves magical, too. Rick introduces the viewers to some of Los Cabos top chefs and their restaurants then cooks dinner for them at a luxurious beach house. Margarita Carrillo, chef/owner of Don Emiliano Restaurant in San Jose del Cabo, joins Rick to purchase the local cabrillo fish and to visit Tamarindo’s Farm for organically grown produce. Rick makes a tamarind chile sauce to go with his fish and eggplant course. Margarita makes her special tomatillo tart for dessert. Together they cook chocolate clams on the beach with their guests. At dinner, Rick, Margarita and the local chefs discuss the philosophy of cooking for people and the meaning of dining together.